Netflix trounced Wall Street's earnings expectations thanks to a big increase in video streaming subscribers. Netflix's original programming bet seems to be paying off. Netflix signed up more than 2 million new U.S. streaming subscribers in the first quarter, which was at the top end of the company's own predictions. The first quarter included the launch of Netflix's most ambitious original series to date: "House of Cards," starring Kevin Spacey. The strong subscriber gains helped Netflix handily beat analysts' earnings estimates. Netflix (NFLX) shares soared 22% in morning trading Tuesday following the company's earnings announcement the night before. That jump could be attributed partially to Netflix's high percentage of short sellers, or investors who "borrow" shares expecting to sell when the price drops. If the stock goes higher, short sellers are forced to buy up shares and cover their positions. With Tuesday's gain, Netflix shares are now up 125% this year, making the company the best performing stock in the S&P 500 so far in 2013. Netflix's quarterly earnings report is investors' first look at Netflix's original content plan, which the company first announced in late 2011. Netflix is rolling out a long list of original series this year: A second season of "Lilyhammer," a new season of the canceled "Arrested Development," a kids show from DreamWorks Animation, a new series from horror king Eli Roth, one from comedian Ricky Gervais and another from "Weeds" creator Jenji Kohan. Hastings said Monday that if the original content is successful in the coming months, Netflix could expand its stable to 20 or more shows. "In the next two years, it's a modest increase," he said in a conference call with analysts. "If that were wildly successful for us, as the first three shows have been, we could continue to expand to 20 or north, but that would be dependent on what happens the rest of this year." Overall Netflix's profit, excluding one-time debt-related charges, came in at 31 cents per share. Analysts polled by Thomson Reuters were expecting earnings of 19 cents per share. Sales just topped $1 billion, in line with expectations. Though Netflix's results were solid, the company still struck a defensive tone in its letter to shareholders. "Long term, we believe the value of our original series ... will be borne out as we add more seasons of already popular shows like 'House of Cards' and further series," the company wrote. "Harry Potter was not a phenomenon in book one, compared to later books in the series." Netflix has reason to be defensive, as analysts have expressed two big concerns about the original content approach. First, the company is releasing all episodes at once -- which means someone could sign up with a free trial for a month to watch "House of Cards" and cancel right afterward. Netflix addressed that issue head-on in its letter, saying fewer than 8,000 people "gamed" the free trial offer during the quarter. "Our decision to launch all episodes at once created enormous media and social buzz, reinforcing our brand attribute of giving consumers complete control over how and when they enjoy their entertainment," Netflix wrote in its release. Critics are also concerned that original series can be costly -- "House of Cards" reportedly cost $100 million for two seasons. But Netflix spokesman Joris Evers told CNNMoney earlier this year that the company spent about the same amount on "House of Cards" as it would have on an exclusive streaming deal with an outside studio. Those studios have demanded more for their valuable content over the past two years, as they can now shop their shows around to Netflix rivals: Hulu, Redbox (CSTR), Amazon (AMZN) and more. HBO (owned by CNNMoney parent company Time Warner (TWX)) and CBS (CBS)' Showtime are also expanding their streaming offerings. That competition has crunched Netflix's streaming growth in the United States, although the last two quarters have each brought more than 2 million new streaming subscriber signups. That gives Netflix a current total of nearly 29.2 million subscribers. Hastings told analysts that "House of Cards" had generated "a very nice impact" in subscriber growth, "but a gentle impact, not one that's an overnight impact." 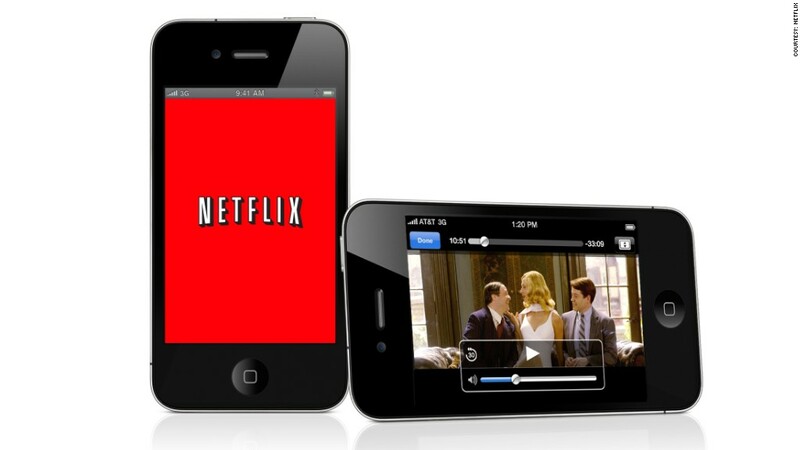 Netflix expects that growth to slow in the current quarter. For the second quarter overall, the company expects to add only 230,000 to 880,000 new U.S. streaming customers. Hastings downplayed concerns that password-sharing could be a problem for the company, saying it was appropriate in the case of immediate family. "We really don't think that there's much going on of the, 'I'm going to share my password with a marginal acquaintance,'" he said.